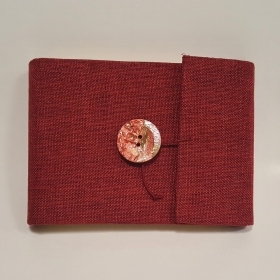 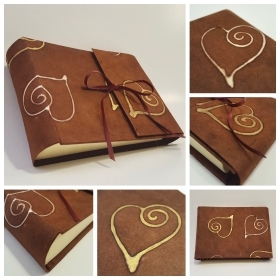 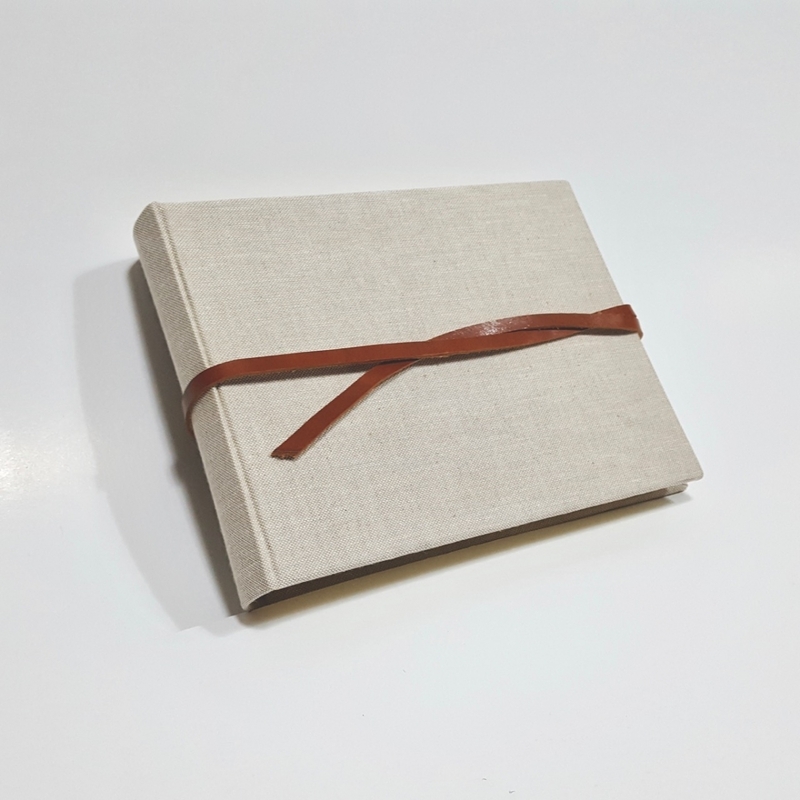 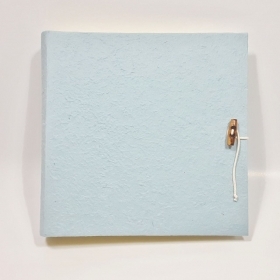 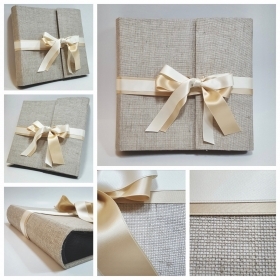 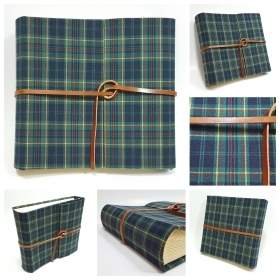 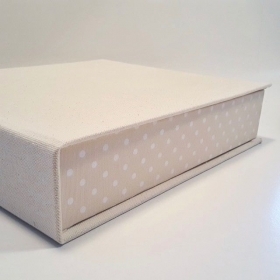 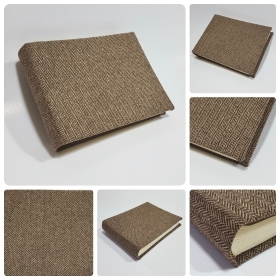 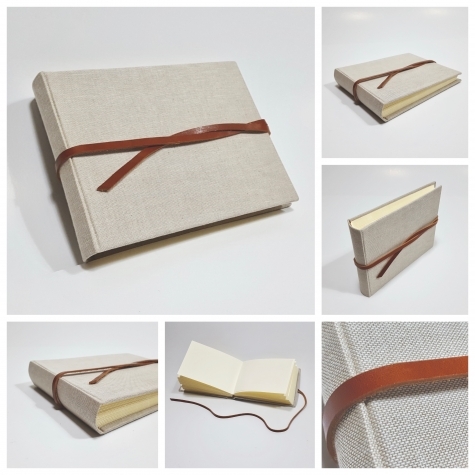 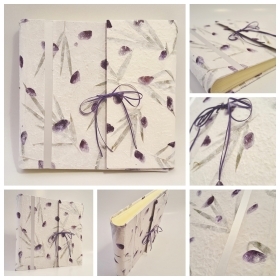 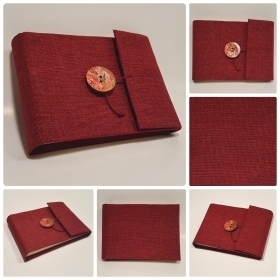 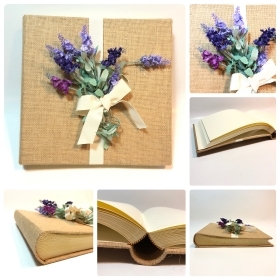 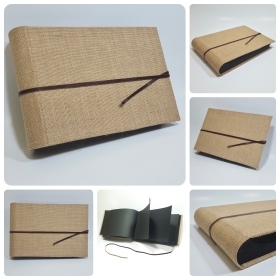 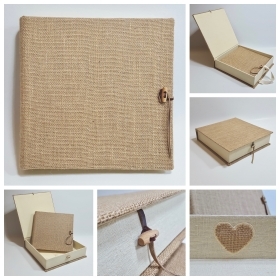 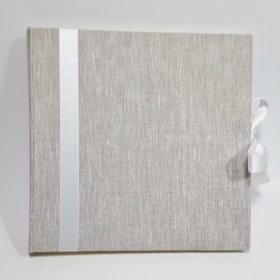 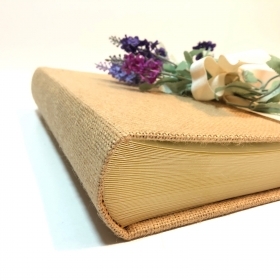 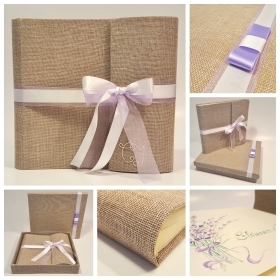 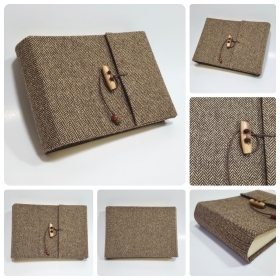 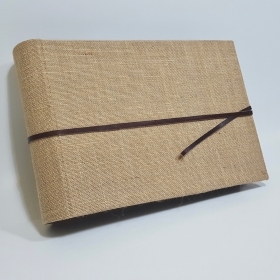 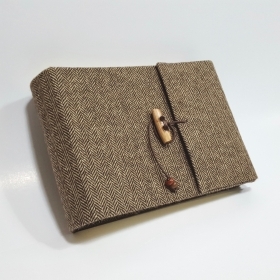 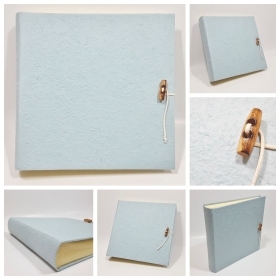 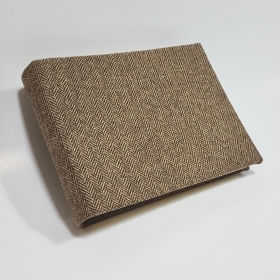 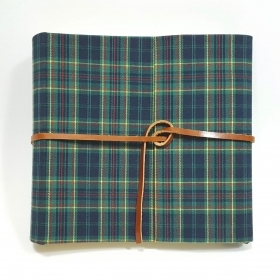 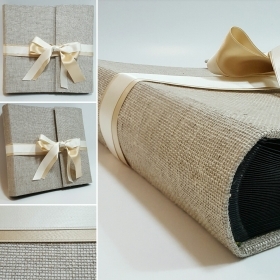 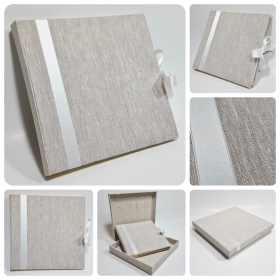 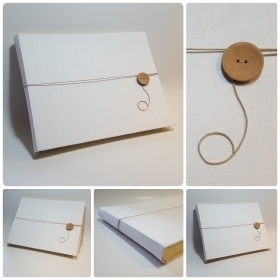 Photo album covered with canvas. 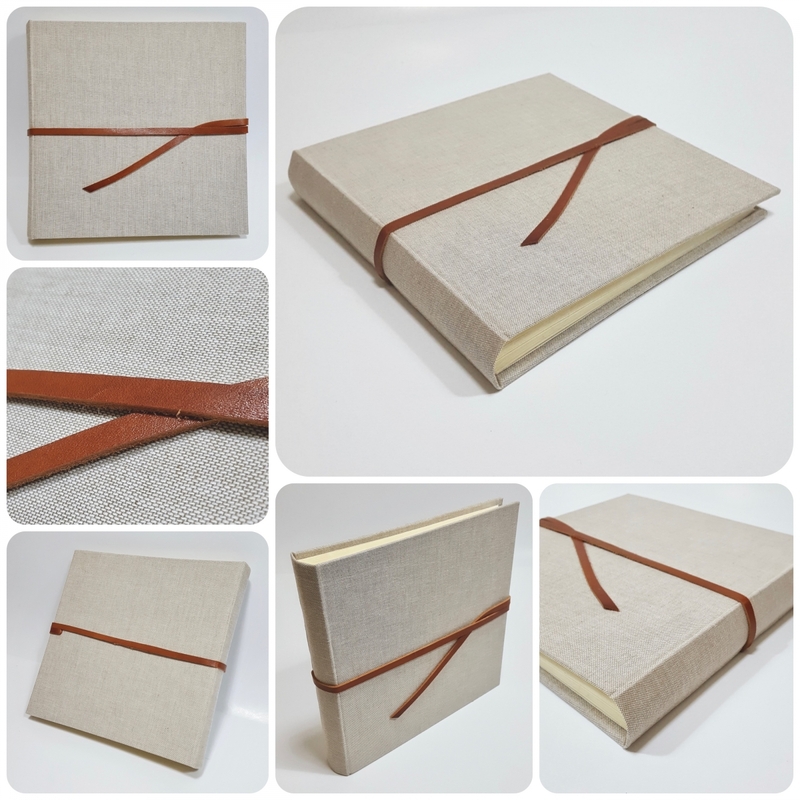 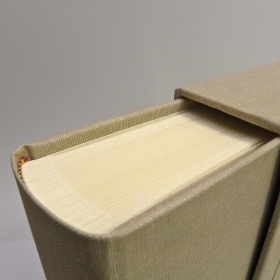 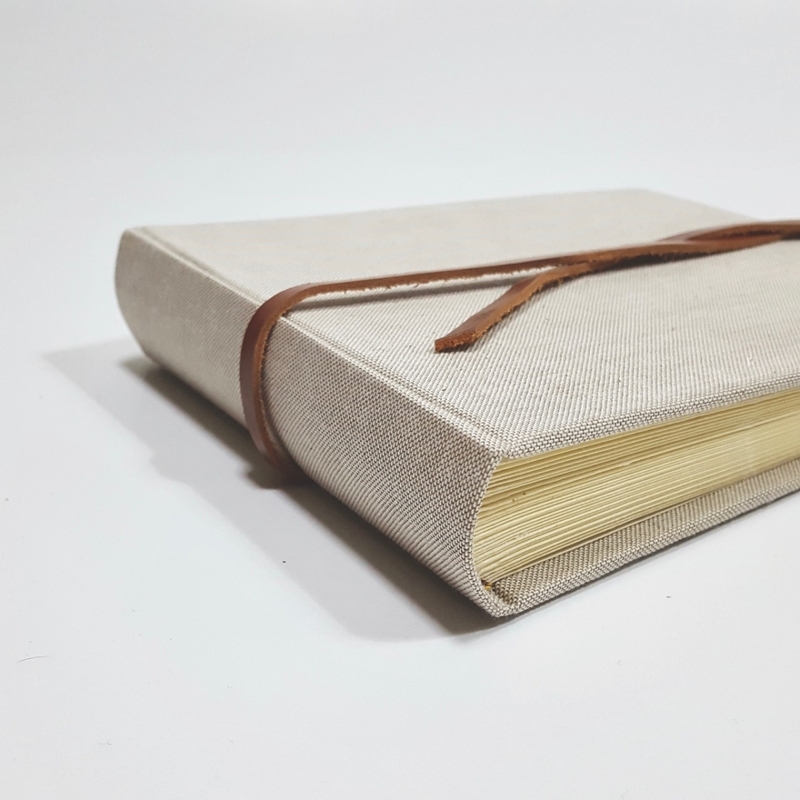 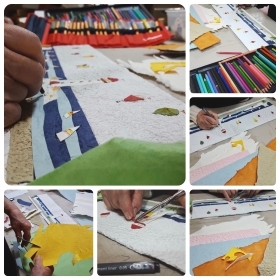 Our albums are made entirely by hand, using traditional techniques and natural materials that guarantee high quality and attention to detail. 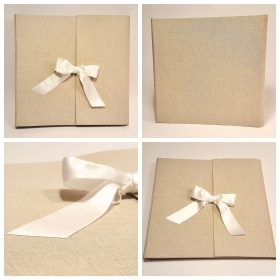 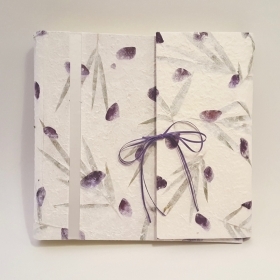 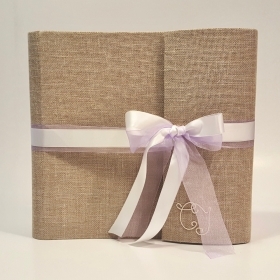 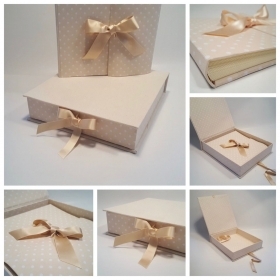 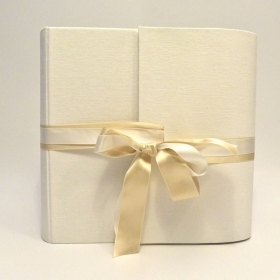 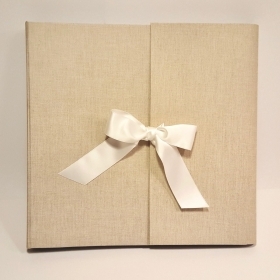 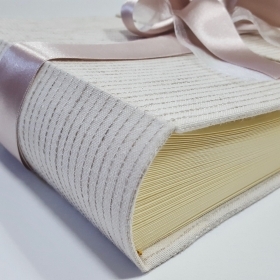 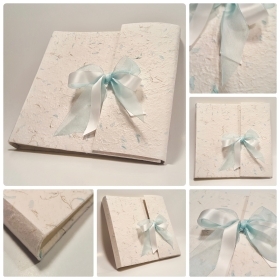 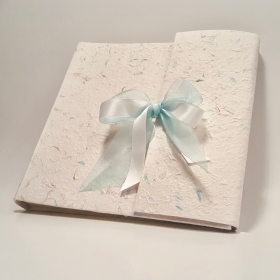 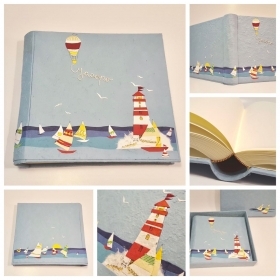 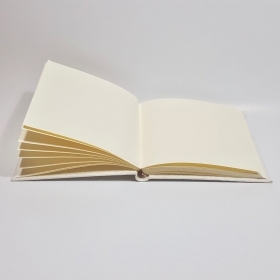 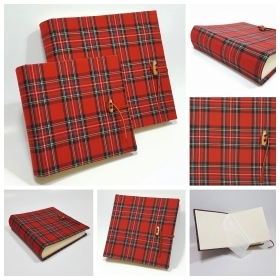 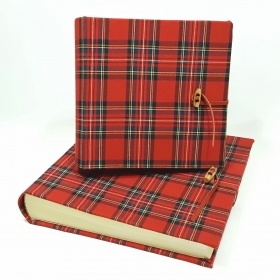 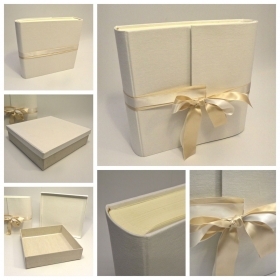 Customers can choose from different sizes, number of pages and interior color, and customize the album by personally choosing the color matching of satin ribbons and closures and materials. 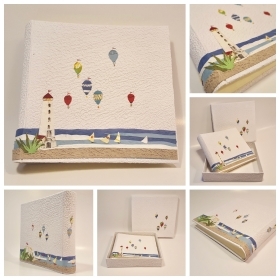 Also on request the album can be decorated internally with paintings and names and phrases. 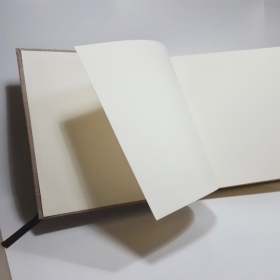 The format is based on height and refers to the surface of the sheet, the useful surface has a shorter base of 1.00 cm. 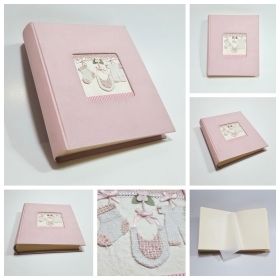 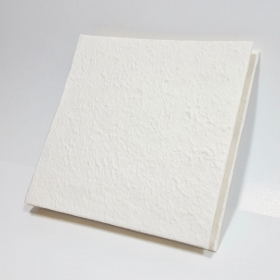 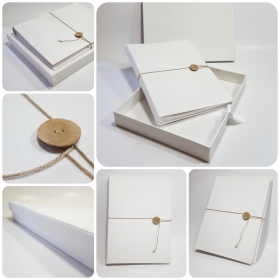 The inside of the album is articulated with precious paper of 290 grams and rounded back as tradition . 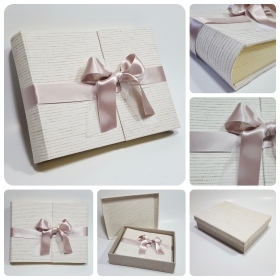 The inner sheets are separated by thin tissue ivory. 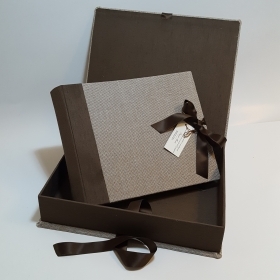 The boxes are handcrafted, tailored to the size of the album, are completely covered both internally and externally with materials in a coordinated with the album paying particular attention to detail. 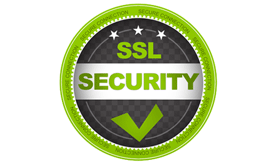 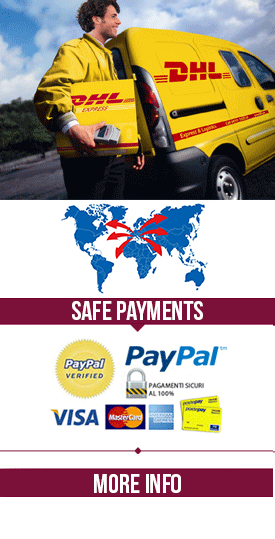 For questions about this product or other information can be written directly. 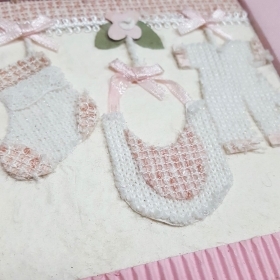 The mail has been sent correctly, we will contact you as soon as possible, thank you. 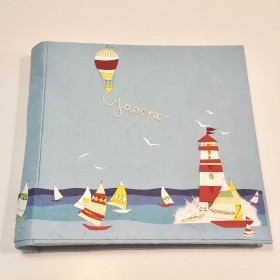 l pacco è arrivato, davvero molto bello.